WayForward announces Shantae 5 for Nintendo Switch, releases later this year! Everyone's favourite half-genie heads to Switch for a new adventure. 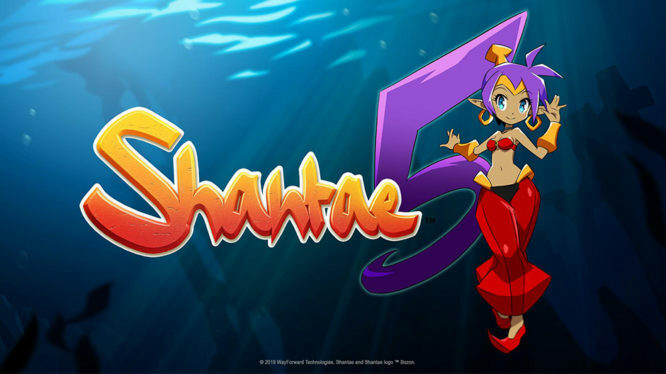 WayForward, the studio behind the wildly successful Shantae series, has announced that Shantae 5 will be coming to the Nintendo Switch, PS4, Xbox One, PC, and Apple Arcade later this year! Pitched as a brand new adventure for Shantae, the latest title in this beloved series is a welcome addition to the Switch’s already impressive 2019 line-up. The Shantae series of games are platforming adventures featuring the main protagonist, Shantae, whose goal as a “half-genie” is to defeat any threats to her hometown of Scuttle Town. Who knows what threats await Shantae and her town in Shantae’s latest instalment, but you can be sure that she will be ready to thwart it! Shantae titles are definitely no stranger to Nintendo platforms. Sporting releases on Nintendo systems as far back as the Game Boy Color all the way through the Nintendo 3DS, Wii U, and even the Switch (with Shantae: Half-Genie Hero – Ultimate Edition). It’s no surprise then, that once announced, Shantae 5 would be heading to Nintendo’s hybrid platform. WayForward is encouraging fans to stay tuned for more information but reports that Shantae 5 is slated for later this year. Get ready to take on a brand new adventure and protect Scuttle Town when Shantae 5 releases at some point in 2019!